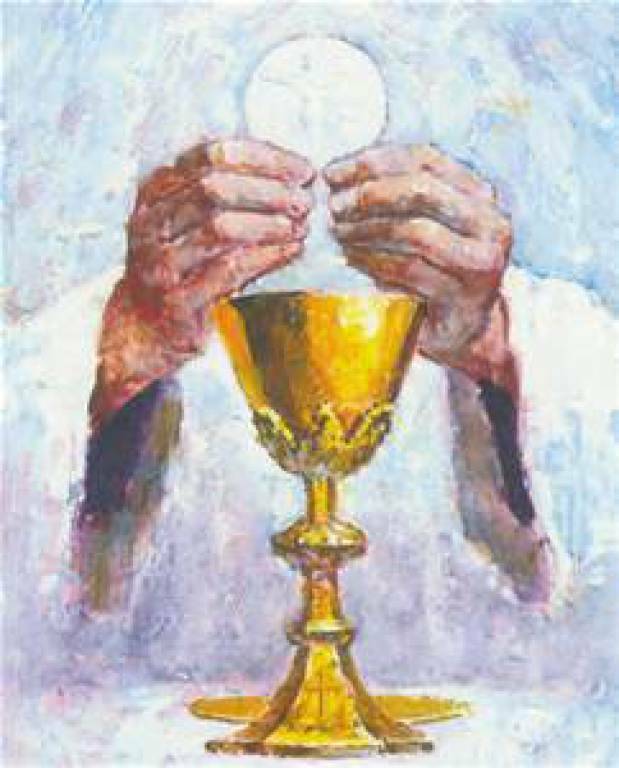 As Catholics we believe that the Eucharist is the true and full presence of our Lord Jesus Christ; Body, Blood, Soul and Divinity. It is more than just a sign or symbol, it is our living Lord who gives of Himself for our redemption. The Eucharist is the Sacrament we go to be nourished and come from to live our faith in love. It is the source and summit of our faith. First Eucharist/Communion preparation takes place in third grade. A Parent Meeting is offered in October so parents can help prepare their children for this sacrament and to reinforce what was learned in our religion classes. Students and their families come together for the Enrollment Service in February asking for this Sacrament for their children. All students enrolled in the Eucharist program are asked to attend the Eucharistic Day of Sharing in March/April, and to participate in our Parish May Crowning held on the first Monday of May. The Sacrament of First Communion is celebrated in May! If your child is in 4th grade or above and has not received First Holy Communion, please contact the Department of Faith Formation at 719-937-6959.